Recently, the Indian government held a grand military parade in New Delhi, capital of India, to celebrate its 70th Republic Day. In previous military parades, the public was often attracted by the "astonishing" motorcycle stunts. However, this year's parade was more eye-catching although it showed less weaponry and equipment than before. Particularly, it was the first time that some main battle equipment of the Indian Army was publicly displayed. 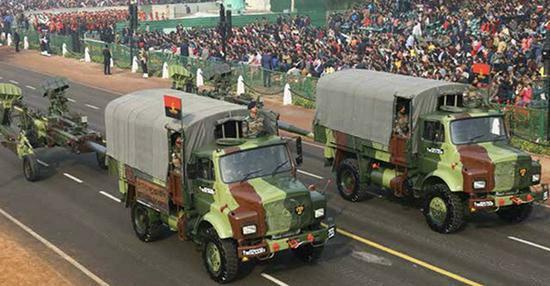 For this reason, the parade offered an opportunity for the public to observe and analyze the development trends of the Indian Army's main military equipment in the years to come. 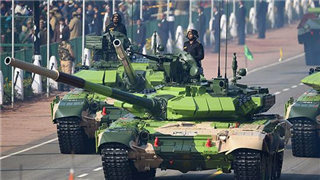 The parade was led by the T-90 main battle tank (MBT) and the BMP-2 infantry fighting vehicle (IFV), which will remain the main weaponry of the armored forces of the Indian Army in the foreseeable future. At present, the Indian Army is equipped with 1,657 T-90 main battle tanks, including 310 early S/SK models and 1,347 upgraded MS models. In contrast, the number of T-90 MBTs in service in the Russian Army is only 550. Moreover, the Indian Army planned to buy another 354 T-90 MS tanks to equip its six tank regiments deployed near the China-India border area. 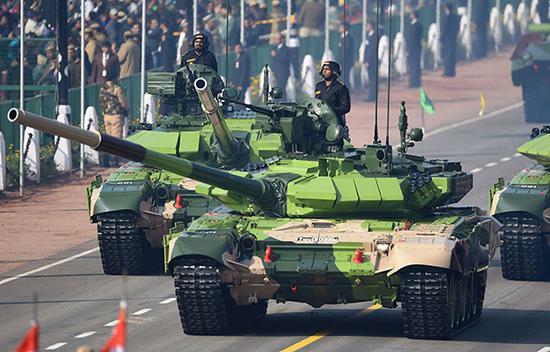 By 2020, the number of T-90 MBTs in the Indian Army is expected to reach 2,011. In addition to its 124 Arjun Mk1 MBTs and 2,410 T-72M1 MBTs in service, the Indian Army owns more than 4,000 third-generation MBTs. From the perspective of future development of Indian armored forces, various types of T-90 MBTs remain the "main force", but they are gradually becoming "outdated". To enhance its overall equipment level, the armored forces of the Indian Army still needs to rely on the upgrading of its domestically developed Arjun main battle tanks. After all, the upgrading potential of the T-90 MBT is limited and subject to the constraints of Russia. This isn't what India wants. Actually, India has stepped up independent development of military equipment in an attempt to abate its reliance on Russia as much as possible. 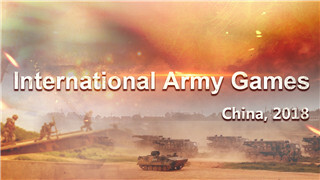 A prominent evidence is its development of infantry fighting vehicles. The Russian-made BMP-2 is the only infantry fighting vehicle (IFV) in service in Indian armored forces, which is equipped with 2,691 such vehicles, the largest number across the world. However, India isn’t supposed to take pride in this because the BMP-2 IFV adopted the second-generation technology. Currently, the more advanced fourth-generation infantry fighting vehicle represented by Germany’s Puma has already prevailed in the world. The two generations of infantry fighting vehicles contrast sharply in performance. In fact, the Indian Army has long considered renewing and replacing its BMP-2 IFVs. Since 2001, it has begun to develop a third-generation infantry fighting vehicle named “Abhay”. This vehicle completely adopted Western standards in terms of overall design and vehicle-mounted weapons. Because India's major military-industrial research and development (R&D) institution—the Defense Research and Development Organization (DRDO) —lacked relevant experience, India had to seek assistance from Russia. However, Russia showed little interest in the project. Instead, it suggested India abandon the Abhay infantry fighting vehicle R&D project (due to the lesson it learned from the Arjun MBT), but directly purchase the exiting BMP-3 IFV from Russia. Nevertheless, the Indian side stuck to develop its own Abhay infantry fighting vehicle. In 2013, at the meeting for Indo-Russian military technology cooperation, India informed the Russian side in all seriousness that it would never give up the Abhay project and purchase Russia’s BMP-3 IFVs as substitutes. Thus, India and Russia officially broke up in the Abhay infantry fighting vehicle R&D project. 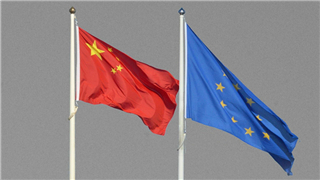 As a result, after the initial prototype was completed in 2005, no substantial progress has since been made, leaving the project in a stage of nearly stagnation. As the Abhay IFV project faces difficulties and setbacks, the Indian Army has to upgrade its BMP-2 infantry fighting vehicles to maintain its armored forces’ combat capacity. 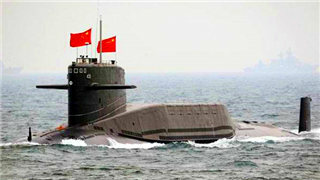 One upgraded version is the model equipped with minesweeping devices displayed at this year’s military parade. Without technical support from other countries such as the United States and European countries, it will be hard for India to resume its R&D project of the domestically developed Abhay IFV in the near future. Unlike its armored forces equipped with Russian weaponry, India’s artillery troops have always followed a path integrating Russian and Western-standard weapons. Apart from Russian artillery weapons such as M-46 130 mm towed field guns, D-30 122 mm towed howitzers, 2S1 Gvozdika self-propelled 122 mm howitzers, India also has Western-standard artillery pieces such as FH77/B 155 mm self-propelled howitzers and FV433 105 mm self-propelled howitzers. Based on the US M777 light-weight 155 mm towed howitzer and the South Korean K9 Thunder 155 mm self-propelled howitzer displayed at the military parade, it is conjectured that the artillery troops of the Indian Army will totally adopt Western-standard 155 mm artillery pieces and gradually abandon Russian 130 mm and 122 mm artillery weapons. Meanwhile, Western-standard 105 mm artillery pieces will remain in India’s artillery troops. Due to its high prices, the Indian Army has only bought 145 M777 light-weight 155 mm towed howitzers from the US. However, the Indian Army has high expectations for this howitzer, and hopes it will become a “prime high-attitude combat weapon” due to its great mobility. 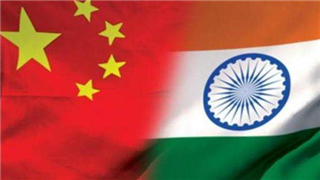 Therefore, when it live broadcast the military parade, India’s national TV station particularly stressed that M777 light-weight 155 mm towed howitzer had been commissioned to Indian artillery troops near the China-India border while introducing the howitzer’s performance features. In addition, the Indian Air Force ordered 15 CH-47 Chinook heavy-lift helicopters from the US to transport M777 lightweight 155 mm towed howitzers to plateau areas. In addition to the American M777 light-weight 155 mm towed howitzer, the South Korean K9 Thunder 155 mm self-propelled howitzer, which was first unveiled to the public at the military parade, was also eye-catching. Prior to the military parade, Indian Prime Minister Narendra Modi particularly visited the L&T ordnance factory and test-drove the domestically produced K9 Thunder 155 mm self-propelled howitzer that just rolled off the assembly line. The K9 Thunder self-propelled 155 mm howitzer has become the world’s best-selling 52 times diameter self-propelled 155 mm howitzer. What attracts India the most is that South Korea is willing to transfer all technical and production patents and assembly lines of the howitzer. This enables the buyers to assemble the K9 Thunder self-propelled 155 mm howitzer domestically, rather than import finished howitzers afar from South Korea. For this reason, India ordered 100 K9 Thunder 155 mm self-propelled howitzers while reserving an additional order for another 50. For the first batch of 10 K9 Thunder 155 mm self-propelled howitzers ordered by India, the South Korean side provided all components which were then assembled in India’s L&T ordnance factory. For the following batches, India will gradually use some domestically produced components and parts to achieve partial localization. In the future, the Indian artillery troops will replace its current 2S1 Gvozdika 122 mm self-propelled howitzers and FV433 105 mm self-propelled howitzers with K9 Thunder 155 mm self-propelled howitzers. 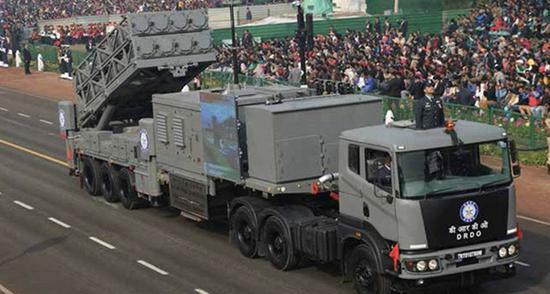 During the military parade, the air defense forces of the Indian Army displayed the domestically developed Akash medium-range mobile surface-to-air missile defense system and the Barak 8 medium and long-range surface-to-air missile defense system jointly developed by India and Israel. In terms of overall design and performance, the Indian Akash medium-range mobile surface-to-air missile defense system already “lagged behind from the moment it was successfully developed”. After all, it uses integral rocket/ramjet engine, an outdated propellant design that has been abandoned in the latest anti-aircraft missile systems developed by countries around the world. As a successor of the Russian SA-6 medium-range mobile surface-to-air missile system, the Akash medium-range mobile surface-to-air missile defense system still uses integral rocket/ramjet engine, evidencing an obvious weak link in India’s military-industrial technology. This also results in the bigger size and heavier fighting load of the Akash medium-range mobile surface-to-air missile defense system. 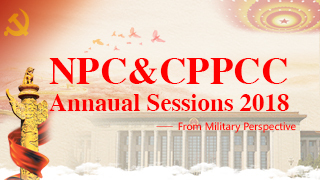 However, it lags far behind its counterparts such as the Russian Buk medium-range surface-to-air missile system and the Chinese HQ-16 air-defense missiles in important performance indexes such as firing range. Moreover, each launcher truck can only carry three missiles, resulting in its weak multi-target and sustainable fighting capacity. The Barak 8 medium and long-range surface-to-air missile defense system. The Indian Army is clear about the shortcomings of its domestically developed Akash medium-range mobile surface-to-air missile defense system. Even so, it still purchased Akash systems enough to equip four regiments. 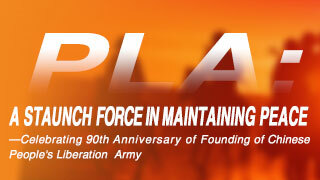 In 2007, urged by the Indian Army, the DRDO launched the next-generation development plan named QRSAM. The designed firing range of the QRSAM system is equal to that of the Akash medium-range surface-to-air missile system, but its overall design is much more advanced. 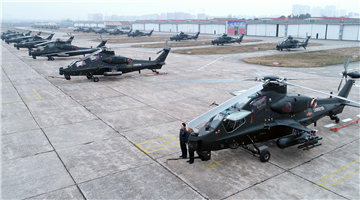 The QRSAM system remains in the stage of testing. In the future, it will gradually replace several less advanced medium-range surface-to-air missile systems that are currently in service in the Indian Army, including the Akash medium-range mobile surface-to-air missile defense system. Compared to India's homemade Akash medium-range mobile surface-to-air missile defense system, the Barak 8 medium and long-range surface-to-air missile defense system jointly developed by India and Israel is undoubtedly much more advanced. 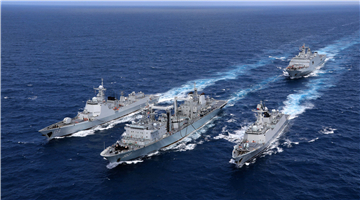 The ship-borne model of this medium and long-range surface-to-air missile defense system has been equipped in the Kolkata-class missile destroyer, the most advanced of its kind in the Indian Navy. Moreover, ground-based missile models have been commissioned to the Indian Air Force and the air defense troops of the Indian Army. 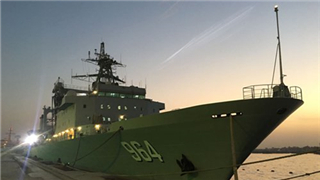 The Barak 8 medium and long-range surface-to-air missile defense system has a maximal range of 100 kilometers and features a guidance system combining two-way data link and active RF/IIF seeker, with a searching and tracking system using advanced EL/M-2248 MF-STAR active phased array radar. Israel Aerospace Industries Ltd. (IAI) is developing a range-extended model of the Barak 8 medium and long-range surface-to-air missile defense system, with an aim to extend its range to 150 kilometers. Before the S-400 medium and long-range surface-to-air missile system ordered by India is delivered, the Barak 8 medium and long-range surface-to-air missile defense system will still play a key role in consolidating the air defense and anti-missile capacity of the Indian Army, Navy and Air Force. Disclaimer: The author is Huang Guoqiang, reporter with The Paper. 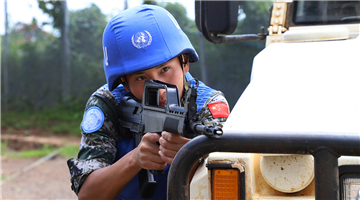 The article is translated from Chinese into English and edited by the China Military Online. 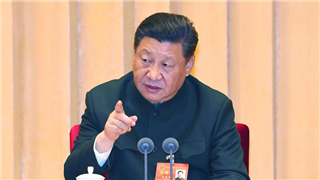 The information, ideas or opinions appearing in this article are those of the author from The Paper and do not reflect the views of eng.chinamil.com.cn. 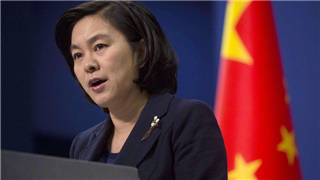 Chinamil.com.cn does not assume any responsibility or liability for the same.